As much as we embrace change and development, it breaks our heart to see how much Mother Nature suffers from man-made destructions. Forests are slowly disappearing, so are the animals living in it. More animals have now gone extinct because of poaching or the destruction of their homes. Water is polluted because we never learned how to dispose of our trash properly. Toxic waste products of big production plants go directly to our rivers, it’s no wonder less fish thrives in it. The U.S. started its conservation efforts decades ago but there is still so much work left to be done up to now. On December 2, 1970, Republican President Richard Nixon established the United States Environmental Protection Agency (EPA). This was the world’s first major government organization dedicated to ameliorating the environmental condition of its citizens. The world marveled at how the United States was able to address pollution concerns that were harming the welfare of ordinary Americans. Within the iconic “swing state”of Ohio the pollution had been so severe that in 1969 the Cayahoga river literally caught fire from all the organic chemicals and oil that had been dumped into it. But a little progress is better than nothing at all. No doubt specific industries such as coal power have contended with enormous environmental compliance costs but this stringency has spurred innovation and cost reduction in other areas. Air quality standards have led to catalytic converters and greater energy efficiency and ultimately cost reduction for consumers in electricity bills and miles driven per unit of services provided. Not all of EPA’s work is “command and control”either. The Agency’s “Energy Starâ€ program, for example, has allowed for product differentiation in appliances through competitive private enterprise and consumer choice. If there is one state in the country that seems to be doing it right, it is Atlanta, Georgia. The U.S. Environmental Protection Agency recognizes the conservation efforts of Atlanta through water and energy conservation. The city received the 2017 Climate Leadership Award – Partnership Award Certificate from the EPA at the annual Climate Leadership Conference held in Chicago March 1-3. The city has been promoting energy and water conservation through the Atlanta Better Buildings Challenge, which has a goal of reducing energy and water consumption by at least 20 percent in participating buildings across the city by 2020; and the Climate Action Plan, which details ways to reduce energy, water usage and waste generation as well as create jobs and improve air quality. We need to understand that environmental conservation efforts start at home. If we do not act now, we will suffer from the wrath of Mother Nature. Global warming and climate change are just the tip of the iceberg. And we all experience it now. Do we need to witness and experience more natural calamities before we change our ways? Let us leave behind a legacy that our children can be proud of. We want the future generations of this planet to still be able to enjoy the beauty of nature. 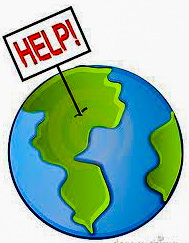 Visit this site http://www.worldethicalfoundations.org/ to learn how to make the world a better place. It is not yet too late. You can make a difference. Reduce energy consumption. Try other renewable sources of energy like solar and wind power. Always reuse, reduce or recycle. Save water. All these things you can do on your own yet have a big impact on the conservation of our environment and the future of our planet.